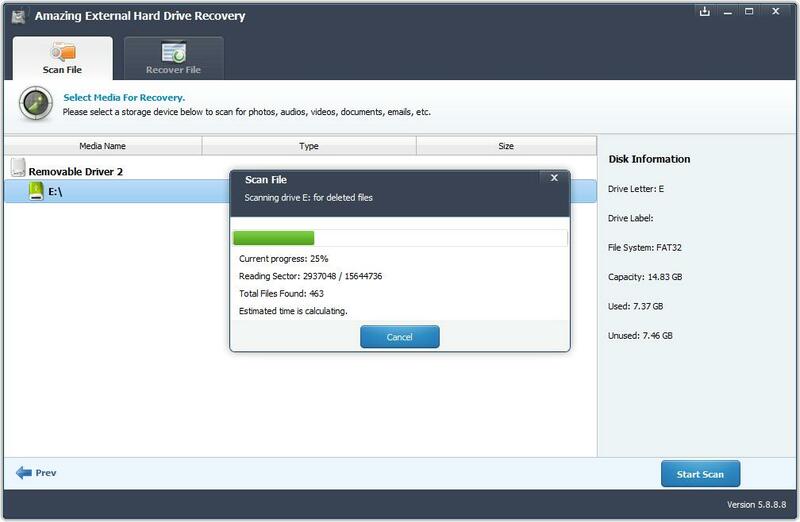 Amazing External Hard Drive Recovery software supports data recovery from all popular External Hard Drive brands, such as Seagate, Lacie, Apricorn, Adata, Western Digital, Samsung, Sandisk, Toshiba, Buffalo, CalDigit, Promise Technology, iStorage, Transcend, G-Tech, KESU and other external hard drives with traditional hard drives and faster solid state drives. 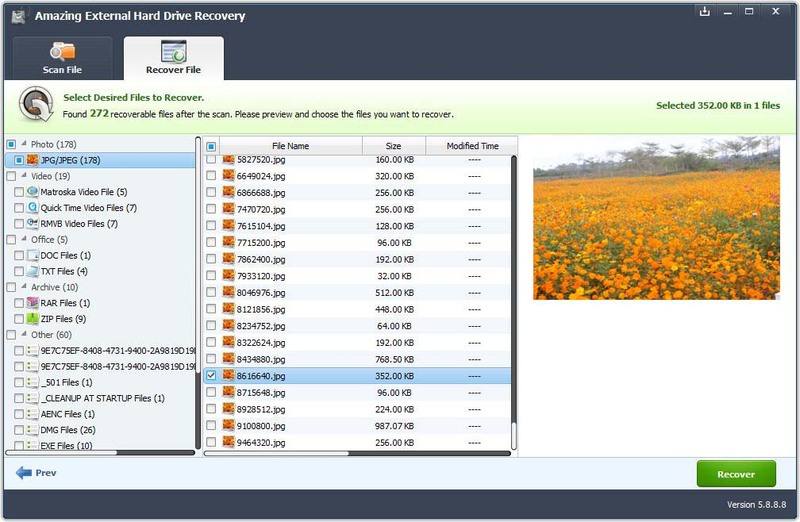 External Hard Drive Recovery can recover lost or deleted files on external hard drive including photos, videos, audio files, Emails, documents, archives and any other formats of data. 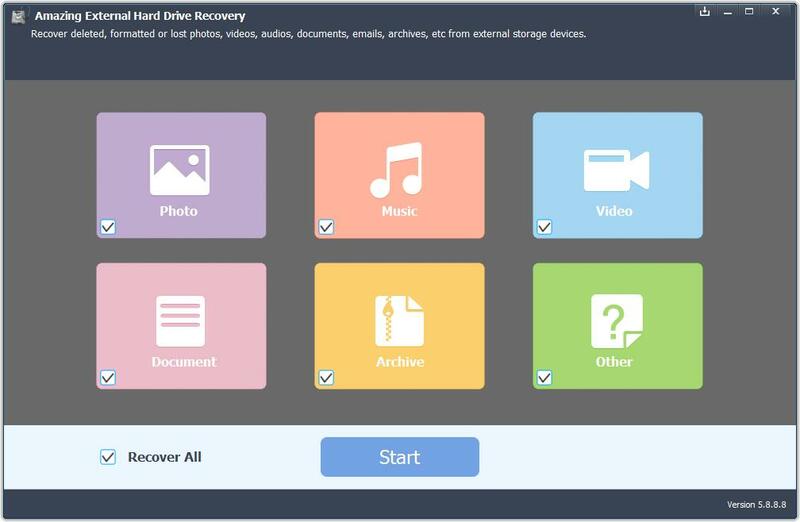 It allows external hard drive users to recovers deleted and lost file from removable storage devices under various data loss scenarios, such as sudden deletion, format or wipe the drive mistakenly, virus attack, system crash, damaged/broken/dead/corrupted external hard drive, external hard drive not recognized, external hard disk file system became RAW, and more other data loss situations. 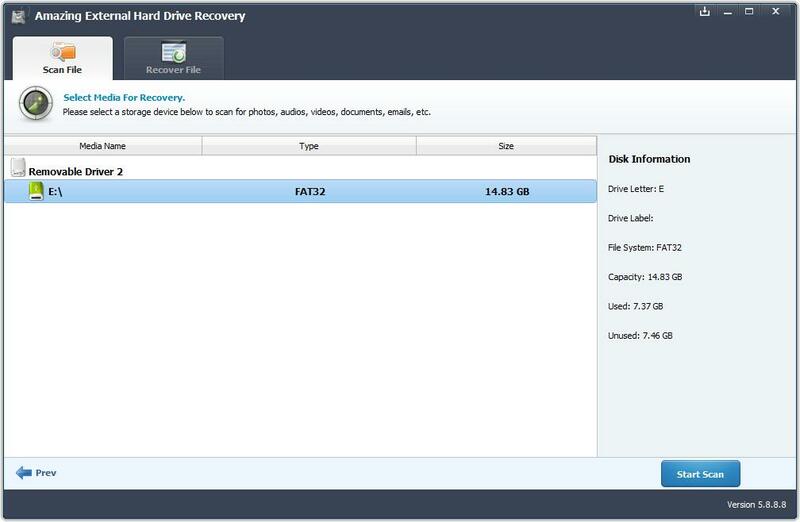 3 steps to recover data from external hard drive/disk easily: step 1, connect your external hard drive to computer, and then launch External Hard Drive Recovery software on your computer; step 2, select the file types you want to recover, click "Start" button to move to the next step, and then select a location where you need your lost data, click "Start Scan" button; step 3, preview and recover data from external hard drive/disk. Fern - Easy-to-use and efficient external hard drive recovery can restore files from Seagate external hard drive that was deleted, formatted or even inaccessible. Estelle - It is professional external hard drive data recovery tool, almost all my lost files were recovered successfully.